FIGT-DC is launching a Book Club centered around topics relevant to families in global transition. 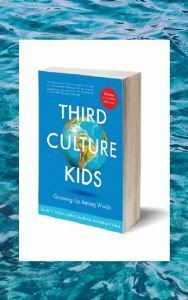 The Book Club will start by reading and discussing Ruth Van Reken, David Pollock and Michael Pollock's book "Third Culture Kids: The experience of growing up among worlds", widely recognized as the Bible of TCK literature. For our first meeting, please come prepared to discuss the first FOUR chapters of the book, which is available for purchase here. This BYOL (Bring Your Own Lunch) or Brown Bag Lunch is FREE to attend, but please RSVP below to let us know you are coming. 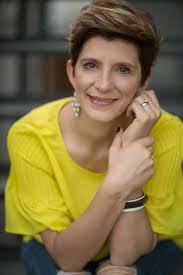 The FIGT-DC Book Club will be moderated by Stefania Picheca, an Italian certified life and career coach, mother of 3 currently living in Arlington, VA. The founder of Your Turn Solutions, Stefania helps her clients take critical decisions, conquer radical change, and tame the inner critic that limits their action radius. Her coaching style is based on the belief that finding out our unique Values and Mission is paramount to any coaching relationship. She combines tools with her strong passion to support clients in developing their emotional intelligence, blending thinking and feeling to make important decisions. She is a ICF Certified Coach, NLP Master Practitioner, a Six Seconds’ Practitioner, EQ Assessor and Brain Profiler.